How Important is Nutrient Cycling? known solution of all nutrient cycling technologies. utrient cycling provides the foundation for Ana’s quest to supply good food for hungry people. Nature wastes nothing by maintaining a closed nutrient loop. Each plant lives with nutrients passed down from organisms that lived earlier. When the plant or animal dies, it’s nutrients cycle to provide energy for following generations. Nutrient cycling has sustained ecosystems for eons. 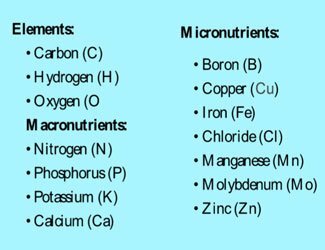 Nutrients are chemical elements that an organism needs to survive and grow. Several nutrients required for food production are becoming increasingly scarce and expensive. Failing sufficient nutrients delivered at just the right time, cellular metabolism shuts down and fails. Macronutrients provide most the energy for cellular metabolism. Micronutrients provide the necessary cofactors for metabolism. Both macro and micro nutrients usually can be acquired from the environment. Macronutrients are converted to energy to power the organism. Micronutrients drive several cellular functions, including building and repairing tissues and regulating body processes. The nutrient cycle includes the use, movement, and recycling of nutrients in the environment. Valuable elements such as carbon, oxygen, hydrogen, phosphorus, and nitrogen are essential to life and must be recycled in order for organisms to exist. Nutrient cycles include both living and non-living components, as well as biological, geological, and chemical processes. These nutrient circuits are also known as biogeochemical cycles. MIA has disrupted nature’s sustainable cycling process by growing field crops in a manner that requires massive cultivation, compaction, irrigation, chemical fertilizers and pesticides and poisons. Growing field crops systemically extracts soil nutrients. Farmers typically replace only the top three macronutrients, NPK, with new chemical fertilizer, due to both cost and availability. Nutrient extraction depletes soil and leaves crops with hidden hunger and produce with empty calories – very few nutrients per bite. Repeated use of chemical fertilizer and pesticides degrades and eventually destroys the soil microbial community, which substantially diminishes fertility. The other actions lead to serious erosion by wind and water that not only wastes precious nutrients but pollute ecosystems. MIA farmers currently use over 207 million tons of mined inorganic fertilizers annually, which is sustainable only as long as all the ingredients in fertilizer are economically recoverable. According to the USDA, fertilizer production accounts for about 35% of farm energy use. Fertilizer also represents about 35% of the production cost for field crops. Thoughtful farmers rotate crops to replenish nitrogen and minimize pathogens. MIA farmers replant the same crop, such as corn, year after year to maximize profits. They apply inorganic fertilizers to approximate the soil’s natural fertility. Both crops and pests develop resistance. Food crops require increasingly more fertilizer to sustain the same level of production. Repeat plantings encourage invasive weeds and pests to propagate, which creates a substantial drag on crop growth. The desire to improve crop productivity combined with rising pest resistance demands more fossil intensive fertilizers, herbicides and pesticides. MIA skips the replacement of soil organics with compost because substituting fossil fuels and mined compounds is less costly, faster and enables higher productivity – in the short term. Each year a farmer begins preparing the land for a new crop by replacing last year’s lost nutrients. 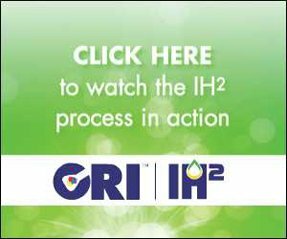 The additional agricultural chemicals are sourced from mines that are depleting quickly. Each year, fertilizer tends to cost more because chemicals easy to mine have already been removed. Mining becomes increasingly expensive as more material must be removed each year. As a result, fertilizer quality continually diminishes. Fossil nutrients create a resource sink due to MIA’s one-and-done behavior. A farmer may apply 100 pounds of P, (or other fossil resource) per acre, but loses about 80 nutrient pounds each year. The crop harvest removes about half, as that P enters the human or animal food chain. Another 30 pounds are lost to erosion from wind, rain and irrigation. Those nutrients move from the soil to nearby waterways, where they stay in dilution and poison people or aquatic animals. In both cases, harvest and erosion, the nutrients are lost to the field. Every year the farmer must begin again with an increasingly degraded field, using more fossil fuels to cultivate the field, inflicting more soil erosion and consuming additional fossil chemicals for fertilizers, herbicides, pesticides and fungicides. Algae bioremediation provides a cost-effective solution to nutrient loss and chemical pollution. Algae need a source of energy and a source of nutrients to survive. 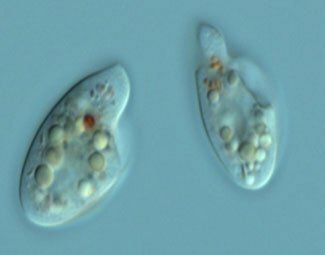 Algae evolved over eons using a variety of strategies for surviving, even when conditions became unfavorable. In the puddles of early earth where algae evolved, conditions often became extremely hostile. Algae are naturally phototrophs and capture photons from sunshine or artificial light sources for the energy they need for growth and development. Algae are incredible single-celled organisms that not only absorb light, or in heterotrophic mode, absorb sugar, but also directly absorb all the other nutrients needed for cellular metabolism. Algae nano-cells offer a huge surface area for nutrient adsorption. Direct absorption and enormous surface area make algae a superb candidate for bioremediation. Phototrophic algae do not need a supply of organic carbon in their culture because they use light energy to power metabolism. Many algae species can switch to heterotrophic energy production if light is not available, but they need an organic nutrient source. Mixotrophs (left) can use a mix of solar energy and carbon sources and can grow in the light or dark, with an organic carbon source. Through algae’s various modes of nutrition, algae can effectively remove a broad range of chemicals from aqueous matrices. 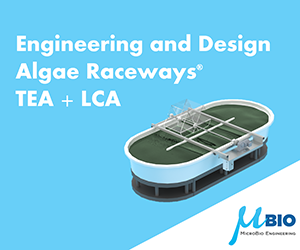 Coupling wastewater treatment with algae production makes sense. 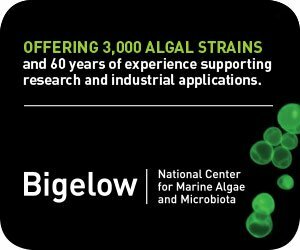 Algae can eliminate much of the huge negative environmental footprint and pollution associated with industrial agriculture. 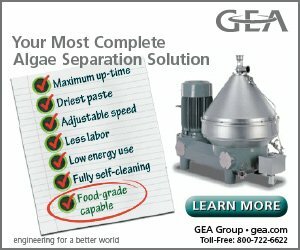 Why are algae so adept at nutrient recovery? The short answer is their tiny cell size. Algae cells must take in supplies of essential nutrients from outside to meet their energy needs. Cells also have to move wastes from inside to the outside. A high surface-area-to-volume ratio favors efficient uptake and output. As cells get larger, the ratio becomes lower and nutrient exchange less efficient. Algae retained its nano-size, (3 to 40 µ), so that their surface areas are large enough to let in essential material fast enough to meet their needs. Yet cells are small enough to allow waste materials to diffuse out quickly to avoid being poisoned by their own wastes. In a Scientific American article, R. Kolkwitz counted about 400,000 algae cells per cubic centimeter. That means an algae screen for bioremediation the size of a cubic postage stamp has more surface area than four football fields. Interestingly, some new graphene filters that are fabricated one atomic layer at a time, create a honeycomb filter with similar surface area. Graphene has a theoretical specific surface area (SSA) of 3,523 m2/g. These filters are being designed to capture CO2 directly from the air.